These days, more and more business owners realize that securing high quality digital marketing and public relations services can increase their conversion rates and build a base of loyal customers. However, many business owners have failed to fully integrate the power of digital marketing and PR to maximize advertising efforts while building meaningful relationships with their brand’s target market. As many Internet marketing experts know, having a PR team devise and implement a digital advertising strategy can yield absolutely amazing results. To gain a better understanding of how PR professionals help build brands in the online space – I have put together this guide to help your company take its digital program to the next level. So What Exactly Is Digital PR? Search Engine Optimization (SEO) - SEO is among the most foundational and important components of the digital PR campaign because it quantifiably increases the brand's online visibility. Although defined broadly, SEO involves the implementation of several proven strategies that will help the client's website, videos, content, and other online media gain prominent ranking in the search engine results pages (SERPs) of major engines such as Google, Bing, and Yahoo. There are a variety of SEO strategies that PR professionals will employ, including but not limited to keyword analysis and content creation. - Content creation is a crucial SEO strategy that PR professionals employ. In short, it involves the creation of interesting, informative web articles or blog posts that will catch and keep the attention of the client's target market. As many Internet marketing professionals know, PR experts are particularly adept at this strategy. Good PR agencies have extensive experience building meaningful, sustained relationships with the public in order to sell the client's product. In terms of content creation, PR professionals will research the target market, in the process learning what types of language and values to incorporate into blog posts and web articles. Targeted, relevant content creates brand resonance among readers. Social Media Marketing Campaigns - PR professionals are highly skilled in creating and launching customized social media marketing campaigns on behalf of their clients. After using web analytics and reporting data to learn as much as possible about which social media channels the client's target market uses most frequently, the PR team will then implement a brand-building campaign and launch it via those mediums. In some cases, the social media marketing campaign can be as simple as tweeting links to the client's product pages via Twitter. In other cases, it can include hosting free webinars that are advertised through Facebook. Applying their savvy for connecting with the public and appealing to their emotions and interests, PR professionals leverage social media marketing campaigns to increase the popularity of the client's brand. This in turn increases a business’s visibility in the SERPs. - PR professionals know that the key to success in SEO is creating an absolutely amazing website. In recognizing this principle, PR professionals who do digital marketing work will typically employ staff members capable of using graphic design to assemble an aesthetically appealing, interactive and highly functional website for the client. Once the website gains online credibility as a domain that is interesting and interactive, the site will gain greater visibility in the SERPs and eventually increase the client's conversion rates and online power. In many if not most cases, the PR team will ensure that the website includes a highly visible link to a blog with compelling content viewers can respond to. This technique is effective in making the client's brand interactive and thereby increasing the likelihood that potential customers will turn into loyal brand ambassadors. Online Reputation Management (ORM) - These days, ORM has become increasingly important as more and more customers are opting to go online and leave reviews regarding the quality of services and products they've received from specific business owners. In recognizing this principle, PR professionals will help the client maintain a positive public image by implementing a host of ORM strategies such as requesting reviews from customers who were pleased with the client's brand. Every business owner should take an active interest in optimizing their online advertising strategy. Hiring a PR team to run their digital marketing campaign is a proven and effective way to do so. By implementing the techniques and strategies outlined above, PR professionals bring the client's brand ever-increasing visibility, and with this comes the conversion rates foundational to perpetual growth and expansion. 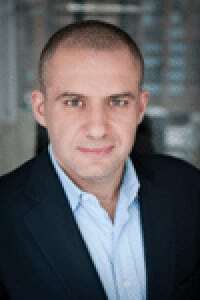 Ronn Torossian is CEO of 5WPR and president of the Ronn Torossian Foundation. Great read on the evolution of PR alongside new tech. Since this article went live, Babbler (digital media relations network and productivity suite) has joined the party. Everything from content to contact management , through networking, reporting and ROI all in one place. I think ROI is the PR concern of 2016.